*A couple of people have suggested to me that the closest local parallel to the ending of the Saints/Rams game is the Drew Pearson touchdown catch for the Cowboys in the 1975 playoffs, which stunned the Vikings. In Dallas, it’s called a Hail Mary. In Minnesota, it’s called a push-off. 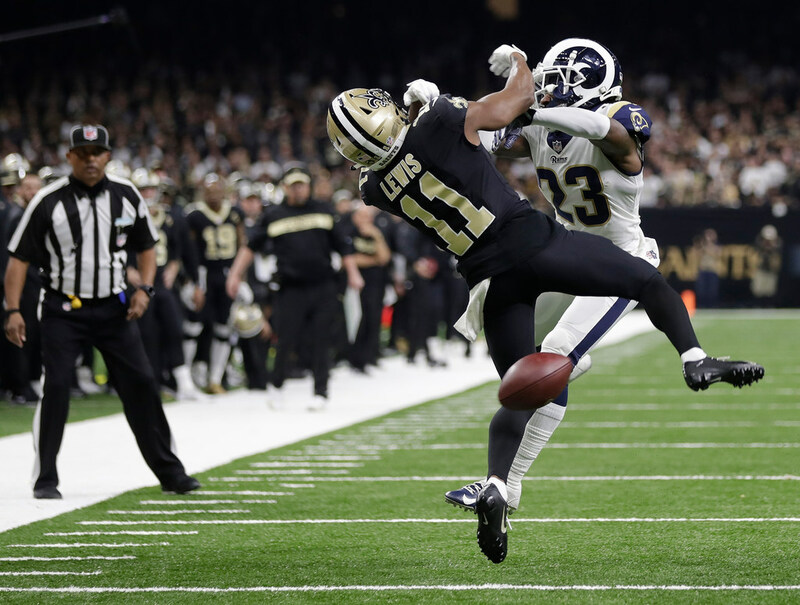 I can see some similarities in that a non-call on pass interference directly influenced both outcomes — though the Vikings had virtually no chance to win after the call, whereas the Saints did … and the Vikings were playing in the divisional round while the Saints were in the NFC title game, upping the ante in the latter case. But the only litigation I know of to spring from the 1975 game was a hunt for the Vikings fan who threw the whiskey bottle that hit official Armen Terzian in the head. (The fan later paid a $100 fine). This being a more litigious time, however, folks in New Orleans are taking a different approach to the matter. On Tuesday, the first day since the game that courts were open, several lawsuits are expected to be filed. The civil lawsuit asks that the commissioner invoke that power to call the teams back to the field with pass interference awarded to the Saints, giving them first and goal with 1:49 left. While this is almost certainly going to generate nothing more than publicity and good will, it’s worth a shot. And filing a lawsuit while putting out a statement is probably cheaper than putting up 16 billboards in Atlanta — site of the Super Bowl — in protest. *Seth Stohs notes that the Twins used an image of Willians Astudillo among five players in a promotional tweet encouraging fans to buy tickets in 2019. Is that a subtle hint that he’s going to make the roster? PLEASE SAY YES. *Steph Curry is one of the best basketball players on this planet, but for a few seconds on Monday he looked like an absolutely clueless recreation league player. *The Wild has a 60 percent chance of making the playoffs after back-to-back wins. It’s a good year to be in the West and not the East.